Environmental activists scored a huge victory after a Virginia judge overturned a permit for the massive pipeline. Now big energy companies are lobbying Congress to overturn the ruling. Dominion Energy wants to build a $5.5 billion natural gas pipeline that will cross three states, including Virginia. As Virginians prepare to go to the polls this month, their vote may determine whether the utility giant gets its way. 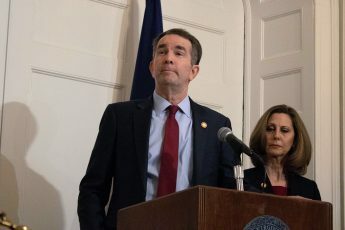 As soon as the opportunity arose, Virginia Republicans put in place laws that would make it more difficult for many likely Democratic voters to access the polls. Their efforts could make all the difference in November.